Even after the prequel trilogy, I still have fond memories of going to see the original Star Wars with my uncle. I plan to do the same with my nephew and niece this holiday season. From what I’ve seen in the trailers and commercials, there’s cause for cautious optimism: a race and gender diverse cast, a world that returns to the tactile, lived in quality of the original trilogy, plus things that don’t need changing, like John Williams’ score. There is, however, one thing I’m a little suspicious of. I refer specifically to what is clearly intended to be the breakout, cute character of the new trilogy. 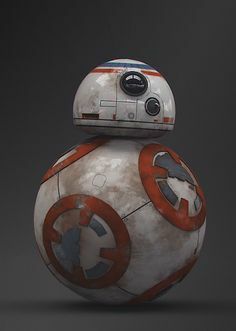 I refer, of course, to BB-8. I am increasingly convinced there is more to this little automaton than meets the eye, and we all should be suspicious of him/her/it(? ).